The life of notorious Boston mobster Whitey Bulger gets an unvarnished and brutal treatment. 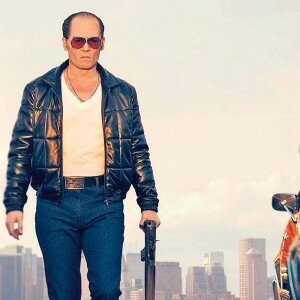 The film gets lost at times in the layers of corruption and deceit, but Johnny Depp, as Bulger, is great, as is the rest of the cast. The film is exceedingly violent, so beware. Available February 16. Gripping drama about 33 miners trapped underground for 69 days in Chile. Based on a true story, “33” is earnest and compelling, with strong performances from an international cast. Available February 16. Michael Fassbender is outstanding as the late Apple founder, garnering an Academy Award nomination for his efforts. The film follows Jobs from the mid-1980s to the late 1990s as he provides the vision that would make Apple one of the world’s most innovative and powerful companies. Writer Aaron Sorkin and director Danny Boyle transform what could be a standard biopic into an electric and raw look at a revolutionary individual. Available February 16. Bryan Cranston scored an Academy Award nomination portraying writer Dalton Trumbo. This biopic follows the life of Trumbo as he goes from celebrated screenplay writer to being blacklisted by Hollywood for his suspected communist sympathies. The film is honest and straight forward in its depiction of a man driven to near destitution due to his politics, but it is Cranston’s brilliant portrayal that really carries the show. Available February 16. “Spotlight” is a classic investigative drama as well one of the best movies of 2015. Based on true events, the film tracks the efforts of local reporters as they uncover a child molestation scandal involving the Boston Catholic Archdiocese – and the coverup that follows. Nominated for Best Picture, “Spotlight” is aided by an outstanding cast, including Michael Keaton, Liev Schreiber, Stanley Tucci, Brian d’Arcy James, Rachel McAdams and Mark Ruffalo (the latter two were nominated for Best Supporting Actress and Actor, respectively). Available February 23. Pixar’s latest animated film takes on the concept that humans and dinosaurs co-exist. It’s a visually stunning film, but the plot, about a young boy who befriends a dinosaur, is geared toward older kids. Things can get slow at times – as well as a quite violent (note the PG rating) – so beware, it’s not for everyone. Available February 23. A mother and her five-year old son are held captive for years, then struggle to adapt to the real world when they escape. “Room” is tragic and heartbreaking, but also a beautiful and powerful tale about the love of family. It is also one of the year’s best films, with nominations for Best Picture and Best Actress (an amazing Brie Larson). Available February 23. Julia Roberts and Chiwetel Ejiofor play investigators who’s team falls apart after the former’s daughter is found murdered. 13 years later, a clue re-opens the case leading everyone down a very dark path. Available February 23. Retelling of the Frankenstein legend through the eyes of Igor (Daniel Radcliffe), the legendary doctor’s assistant. The film is equal parts silly, creepy and tremendous fun. James McAvoy is great as the young Victor Frankenstein. Available February 23. James Franco stars in this 8-part mini-series based on the Stephen King novel of the same name. The plot centers around a man who travels back in time to prevent the assassination of President Kennedy. All episodes available beginning Monday, February 15, on Hulu. One of TV’s best shows kicks off season season 2. 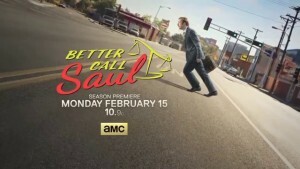 Bob Odenkirk is wickedly funny as slimy lawyer Saul Goodman. Monday, February 15, AMC. LL Cool J hosts this year’s celebration. The star studded line up includes Adele, Justin Bieber, Taylor Swift, Lady Gaga, the Eagles with Jackson Browne (honoring the late Glenn Frey), Sam Hunt, Kendrick Lamar, Bonnie Raitt, Rihanna, Carrie Underwood and many others. Monday, February 15, CBS. It’s the Super Bowl of dog shows – even more important than the Puppy Bowl. Check out the 140th incarnation. Tuesday, February 16, USA. Season 4 of one of the best dramas on television begins in the aftermath of Ragnar’s victory in Paris. “Vikings” features plenty of action, betrayal and blood. The show expands to 20 episodes for 2016. Thursday, February 18, History Channel. Scottish comedian Craig Ferguson hosts a new series featuring a panel of rotating guests including comedians, actors and academics discussing unorthodox and provocotive historical topics. Thursday, February 18, History Channel. Lena Dunham’s groundbreaking comedy/drama debuts season five. Find out if the girls can successfully maneuver the perils of adulthood. Sunday, February 21, HBO. It’s been almost 20 years since “Full House” left us, but nearly the entire cast (save for the Olsen twins) are back in this update. Don’t expect anything earth shattering – just some engaging performers and some pleasant laughs. Watch the entire series on Friday, February 26, on Netflix. Chris Rock hosts this year’s event. Expect the stars to come out in droves to see if Leonardo DiCaprio will finally win an Oscar. Sunday, February 28, ABC. 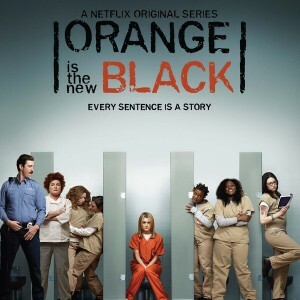 “Orange is the New Black” has been renewed for three more years, which will take it through season 7. A pilot for a “Lethal Weapon” series is being produced. Damon Wayans is set to take up the role of Murtaugh (played by Danny Glover in the movies), but the role of the volatile Riggs, made famous by Mel Gibson, has yet to be cast. Daniel Craig is attached to a 20-episode project titled “Purity,” which is based on the Jonathan Franzen novel of the same name. No network is attached as of this time. Ashley Judd will join the new season of “Twin Peaks,” which is expected to debut in 2017. The long running daytime soap “Days of Our Lives” has been renewed for a 51st season. Should you bait email scammers?